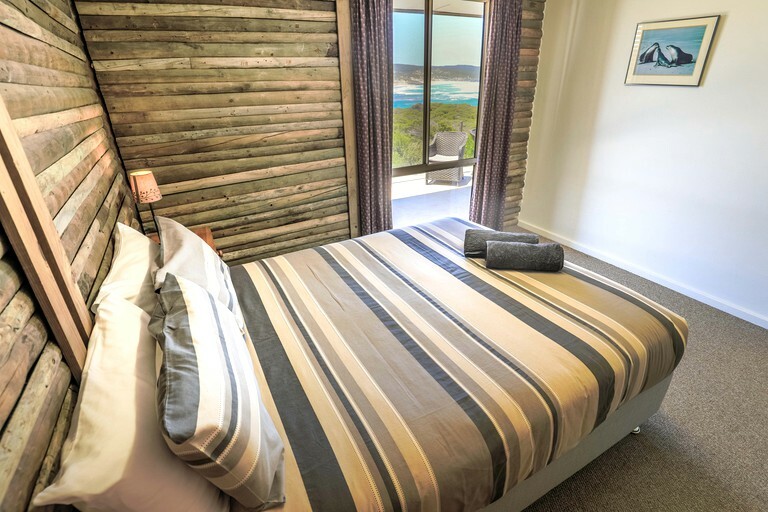 This cozy cabin on the beach is located in Hanson Bay, Kangaroo Island, South Australia, and can accommodate four guests. It has two bedrooms and one bathroom. The first bedroom has a queen-size bed, a nightstand, a bedside lamp, and cozy, wooden walls. The second bedroom has a twin-size bed with an extra twin-size bed available if needed. In the bathroom, guests will find a shower. Linens and towels are provided. A safe swimming beach is only 100 meters from the cabin. The nearby visitor center and cafe offer snacks, drinks, and gourmet meals for purchase. These meals can be packaged for guests to take with them on their adventures. Guests will have access to a shared laundry facility. Full catering service is available. A guided walking tour and a self-guided koala-watching walking tour are also available. Situated right next to the beach in the middle of a wildlife sanctuary, this getaway cabin on the southern shores of Kangaroo Island in Hanson Bay, South Australia, is a nature lover’s dream come true. 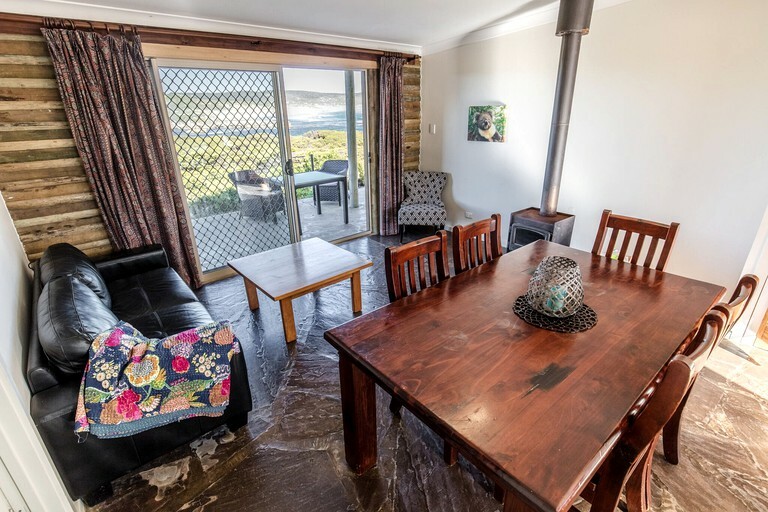 Right from their windows, guests can see the craggy coastline where the sparkling Southern Ocean fills the secluded cove of Hanson Bay and stretches forth to the horizon. However, the water is not just for looking at; walking only 100 meters from their front door, guests will find a beach that is safe for swimming. Walking down a private beach path, guests can also reach an 8.6-mile stretch of the of the 38-mile Kangaroo Island Wilderness Trail, which will take them to the appropriately named Remarkable Rocks—a towering cluster of rain, wind, and ocean-sculpted granite boulders that is among the island’s top natural landmarks. 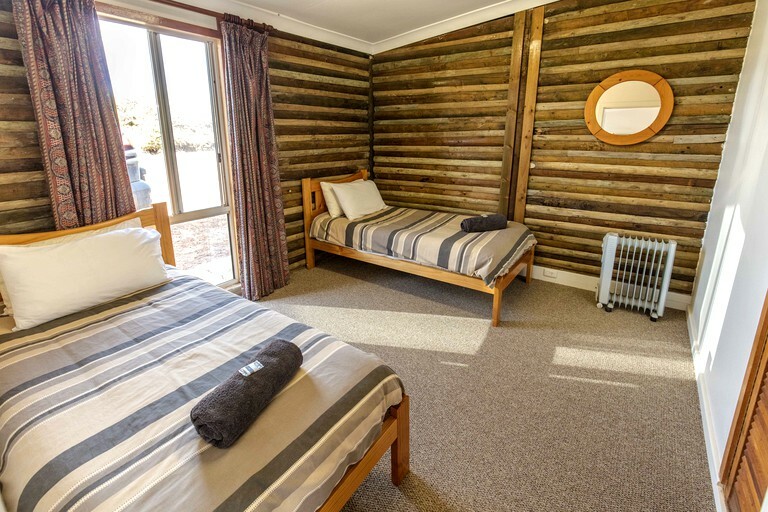 In the wildlife sanctuary on which the cabin is located, guests will encounter a full array of Australia’s most unique fauna, including kangaroos, koalas, tamer wallabies, echidnas, opossums, and bats. In nearby Flinders Chase National Park, only 17 minutes away, they can see even more kangaroos and koalas, as well as platypuses and Cape Barren geese. At the southern tip of the park, they can also visit Admirals Arch—an erosion-created rock bridge where they can find a colony of New Zealand fur seals. Other attractions in the area include Cape Borda Lighthouse, Cape de Couedic Lighthouse, Weirs Cove, Kelly Hill Caves, Kelly Hills Conservation Park, Little Sahara, Vivonne Bay, and Seal Bay. Home to southern right whales, the surrounding ocean is also an attraction itself. At the wildlife sanctuary in which the cabin is located, guests can go on a guided walking tour, where they may encounter koalas, kangaroos, bats, echidnas, tammar wallabies, opossums, and bush stone-curlews. They can also go on a self-guided koala-watching walking tour beneath the shade of eucalyptus trees. The wildlife sanctuary also has a visitor center and cafe, where they can purchase snacks, drinks, and gourmet meals, which can be packaged for taking away—a convenient way for guests to provision themselves for their excursions. Walking down to the beach only 100 meters from their cabin, they can relax, swim, surf, sand board, and fish. 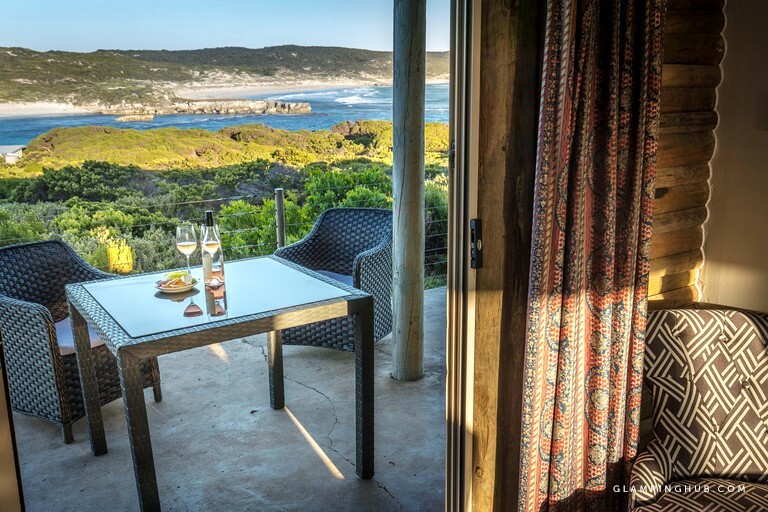 Right from the cliffs of the coastline, guests can also go whale watching, with southern right whales visiting the bay between May and September. At Flinders Chase National Park, only 17 minutes away, they can bushwhack through a network of hiking trails, which include the Platypus Waterholes Walk, which, as its name suggests, provides an opportunity to spot the elusive platypus. Traveling down Cape du Coudic Road, they can also see both the Cape du Coudic Lighthouse and Admirals Arch, where they will have a chance to visit a colony of New Zealand fur seals.